It was time for the local Sierra Club’s annual trip to the Hercules Glades Wilderness to celebrate the autumnal equinox, and my second visit there. Only 6 of us went this time. We started Friday at the Coy Bald trail head – my first time there – and hiked in on the Rock Springs trail and camped near Long’s Creek east of the falls. The creek was mostly dry with only a trickle in some scattered areas and some nice large pools near the falls. On Saturday we day-hiked up to and over Upper Pilot Knob and then around on the western Devil’s Den trail, then back to camp. It was basically the same hike as last year. On Sunday we hiked-out on the Coy Bald trail. This trail was new to me. There were some really nice wooded areas that look like they’ll make a great camp site on a future trip. 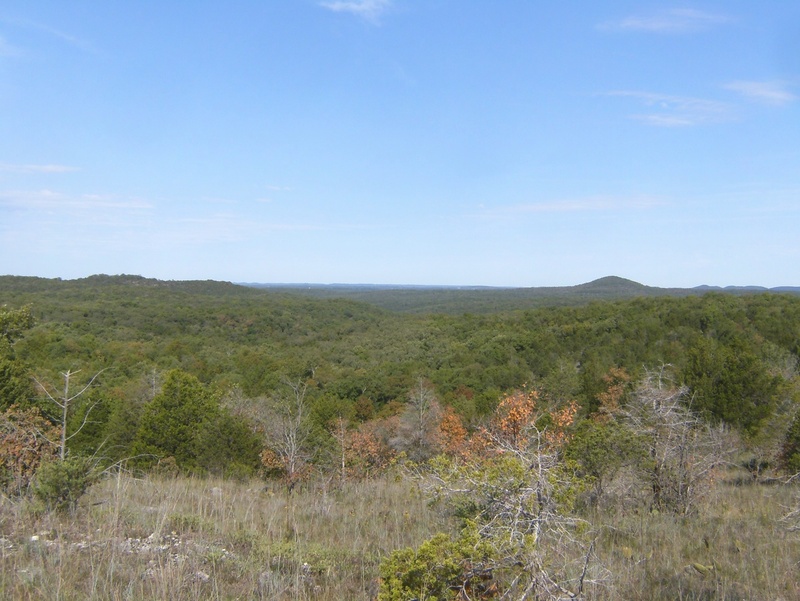 Looking north-west from Coy Bald trail, with Lower Pilot Knob on the right. A nice place for a rest stop on Coy Bald trail. We could see Branson’s water towers in the south-west. 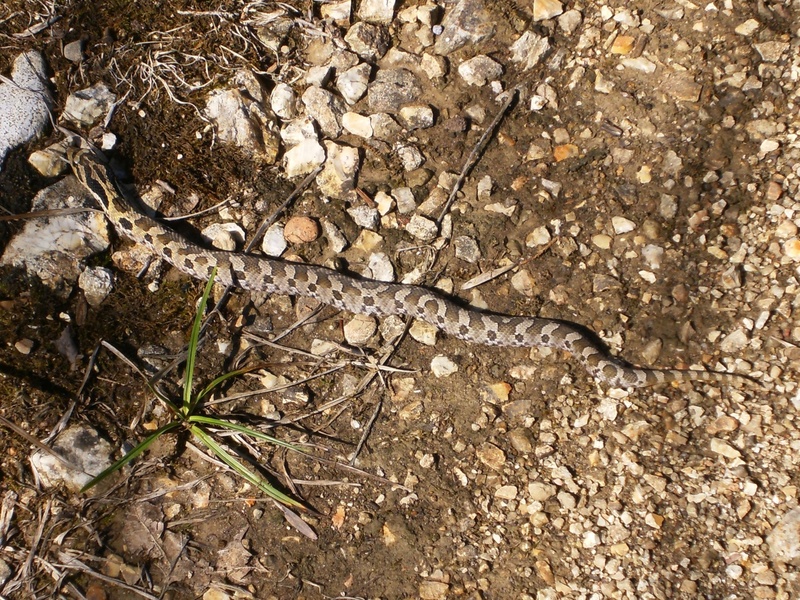 We didn’t see any tarantulas this time but did find this nice snake warming himself on the trail. It was a bit warm Friday but otherwise the weather was pretty close to perfect. I’m going to make a point of getting down there after a good rain so I can finally see the falls with substantial water flowing. There was a family at the trail head when we arrived and they disappeared into the wilderness ahead of us. We ran into them again Saturday afternoon at Long’s Creek falls. 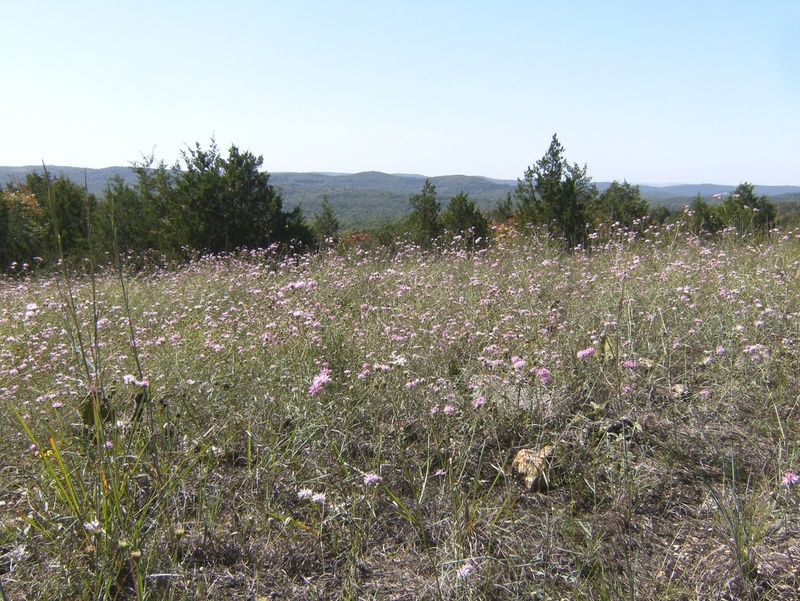 A couple days after returning home I was looking for Piney Creek Wilderness trail maps and found one on that family’s web site! Such a cool coincidence. 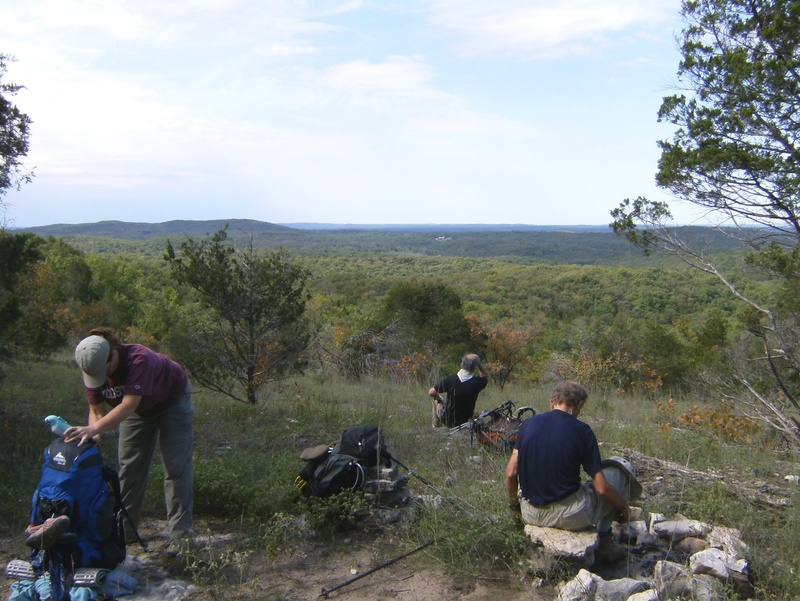 This entry was posted in Uncategorized and tagged Hiking, Missouri Ozarks. Bookmark the permalink. Are ticks bad in that wilderness? In the warmer weather they sure are!